Can you mention of the types of nucleotides. They are guanine, cytosine, thymine and adenine. The backbone made of deoxyribose and phosphate will hold the nucleotides. The bases are another term used to call nucleotides. There are at least 210 types of cells found in the body. Each cell is very important since it will do their job regarding how the body functions. Some types of cells to notice include the bone cells, muscle cells and blood cells. DNA will tell the cells what to do since it contains instructions. 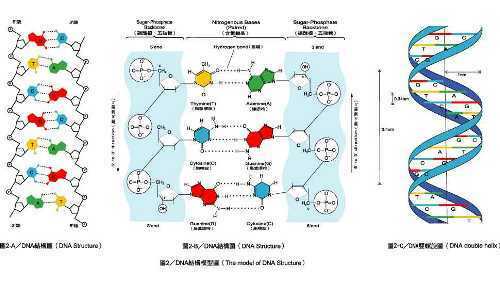 You can compare DNA structure just like a computer program where the DNA is the code or program. On the other hand, the cell serves as the hardware. Nucleotides act like the different letters found in the code. A codon is a term to call every three letters, which make a word to represent the instruction based on the type nucleotides. The example of a string of codon is GAC CAG TGA GGA ATC. It consists of three letters from the combination of A- adenine, T- thymine, C- cytosine and G- guanine. Even though there are only four letters on the DNA, the combination is billions. The gene is used to call the code within each string of DNA. 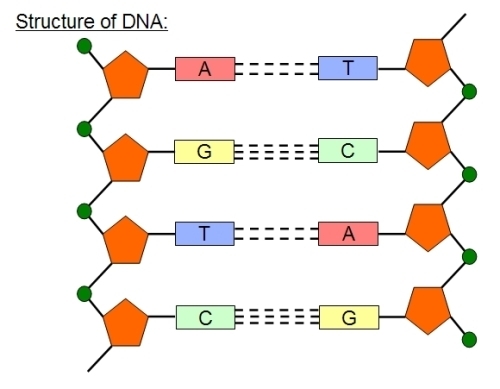 Look at facts about DNA replication here. Do you know the function of a gene? It gives the instruction for the cell to create a certain protein used by the body to grow, develop and live. 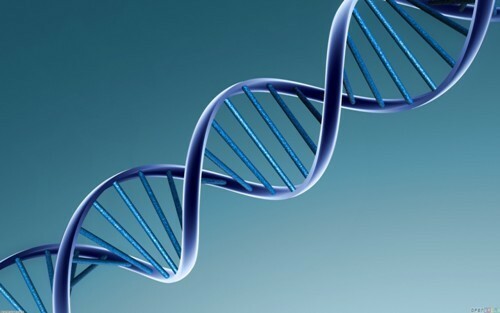 DNA has the specific shape called double helix. 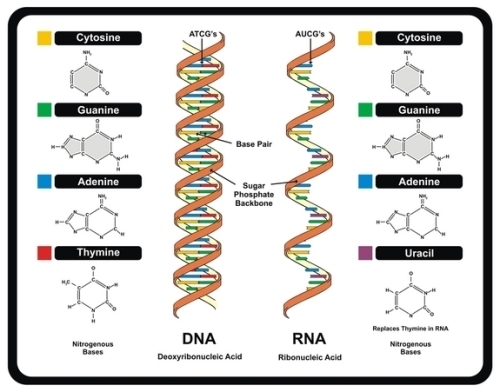 The DNA is held together by the presence of backbone located outside the double helix structure. Check DNA facts here. DNA is super long for it can reach the sun and back again for several times if you stretch it. 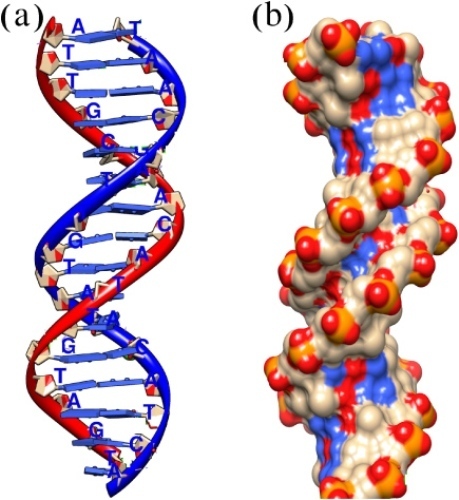 Do you enjoy reading facts about DNA structure?